This year Data.gov underwent some changes and updates and brought you training and guides to help your agency open your data and get it on Data.gov. To get the basics on using Data.gov, you can take a look at our resources How to Get Your Data on Data.gov or view the “How to Get Your Data on Data.gov webinar we offered in November with Hyon Kim, Phil Ashlock and Rebecca Williams of the Data.gov team. You can also take a look at our Inventory.Data.gov Guide and watch the recorded webinar on Using Inventory.Data.gov to assist in the creation of JSON files. 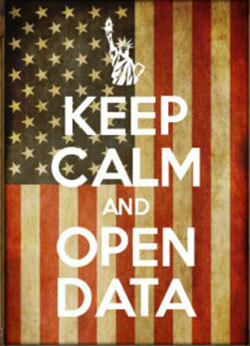 JSON files are required for successful Open Data Policy compliance and the harvesting of data to Data.gov. Finally, we hosted Phil Ashlock and Rebecca Williams of the Data.gov team to give a brief update about the Project Open Data metadata schema that is required under the Open Data Policy (PDF, 5.83 MB, 12 pages, May 2013) and that powers Data.gov. They go through step-by-step how the Project Open Data Metadata Schema is being updated, in this recorded webinar, for greater clarity and data discoverability. It is based on agency feedback, and you can learn about tools and resources to assist data stewards, IT personnel, and all agency staff in their v 1.1 metadata updates. Speaking of Project Open Data, this cross-agency initiative developed by the White House looks at how to manage information as an asset in the 21st century, and it is powered by GitHub. GitHub has grown to become a place where anyone can do simple collaboration. It’s a free social network that tracks changes to any data, not just code, where stakeholders and developers can work on the same data simultaneously. In March we hosted GitHub for Government. In this video recording Noah Kunin from the Consumer Financial Protection Bureau walks you through the platform and some of its specific features for government. You can also take a look at A Quick Guide to Using Github, a post written in November. Agencies are also turning to “open as default” processes and considering this while in the early stages of development for delivery of services. This recorded event in early May discussed the White House’s use of Drupal during the State of the Union address as one example of using an Open Content Management System in a unique and innovative way to serve citizens. Another event focusing on using open source CMS was hosted by Jacob Parcell, Manager of Mobile Programs at GSA, and featured two GSA case studies and one from the State Department. This event presented uses of open source CMS solutions to implement responsive design on agency sites. You can also watch the How to Use Open Source CMS to Implement Responsive Web Design webinar recording. DGU has also supported the Structured and Open Content Models working group by hosting discussions on how to implement the “event” and “article” models. We also hosted some great in-person workshops around APIs. In July we hosted Working with APIs for Non-Coders. 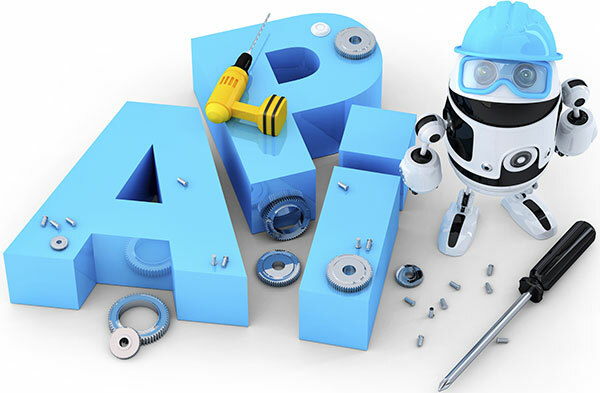 This event, hosted by Eric Mill, a key developer on GSA’s 18F team, was especially targeted to non-developers and explored the basics of APIs, using the Congress API, offered by the Sunlight Foundation, as an example. The purpose of the event was to showcase that anybody of any skill level can understand and use APIs without any coding knowledge! You can also take a look at the API video recording series. Lastly, if you are looking for events about data collection or analysis you can check out the Metrics Round-Up from October. Feel free to leave comments on what you’d like to see offered in the future.